These were a fun experiment. 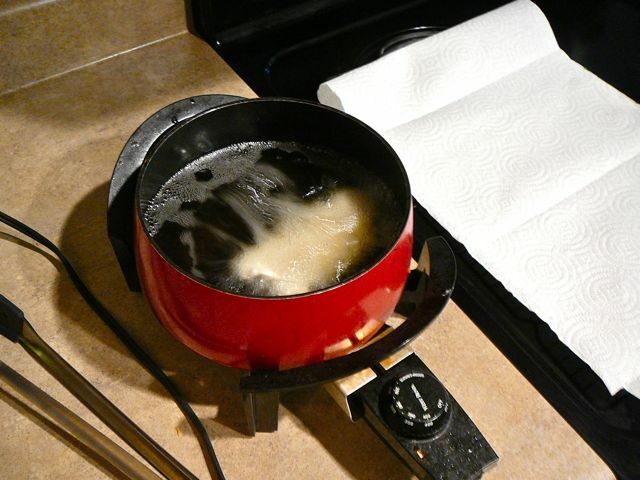 My fryer had been on the counter for a couple weeks (after samosas) waiting for one more use before I tossed the oil. It was between this and onion rings. 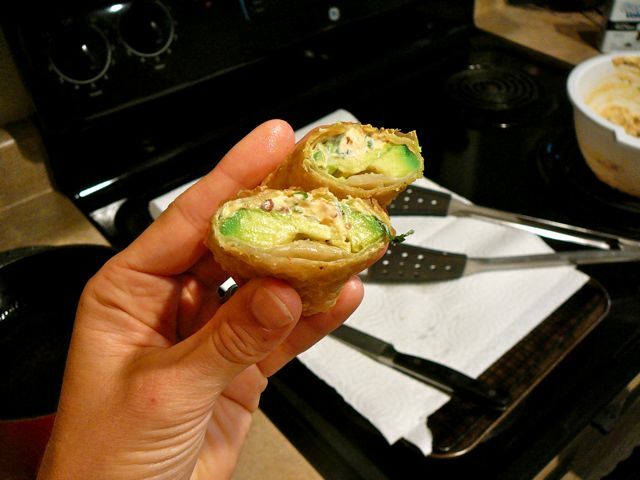 BJ's avocado egg rolls really are so good and warm and I want one right now. This is a pretty good knock-off recipe. When we were there last I wrote down the ingredients from the menu and looked up some others - like the tamarind honey sauce. Hopefully you'll like this little appetizer adventure, too. 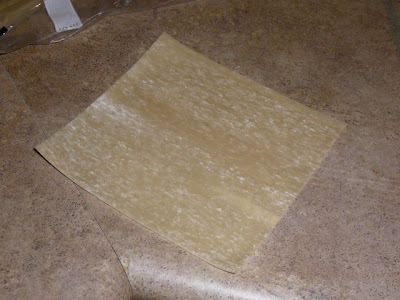 Turn your electric grill to about 350-375 degrees, filled half way with oil. Combine the cream cheese mixture in a bowl. 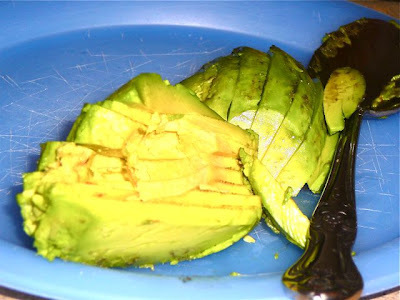 Slice your avocados separately so they are ready to put into your wraps. For the sauce, in your food processor, put in your tamarind pulp and vinegar. Then begin with about 2 Tbsp of honey and 2 Tbsp water. Pulse. Add olive oil so it runs a little smoother. 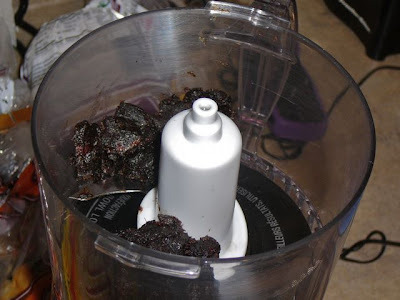 Stop food processor and taste. You want this to run smoothly. I can't give you completely perfect instructions. You want this to be tangy from the tamarind and vinegar, but sweet from the honey. Your attempting to have a perfect balance of the two. I ended up putting a little too much honey in mine, but it was still good. For sure you'll have to add more than 2 Tbsp. The water is just to help it run smooth without filling it all with oil. 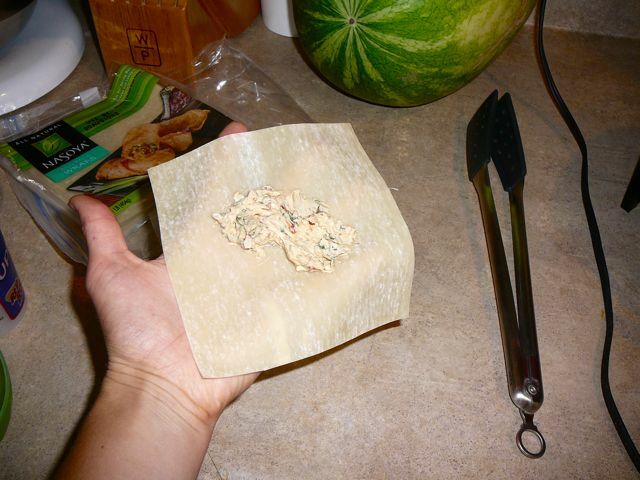 Take your wrap and smear some cream cheese mixture in the middle. 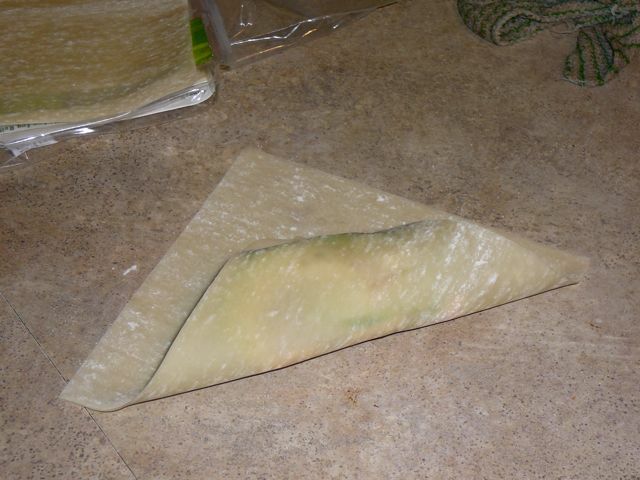 You'll have to experiment with how much of that mixture you want in each of your wraps. Lay your sliced avocado on top of that. 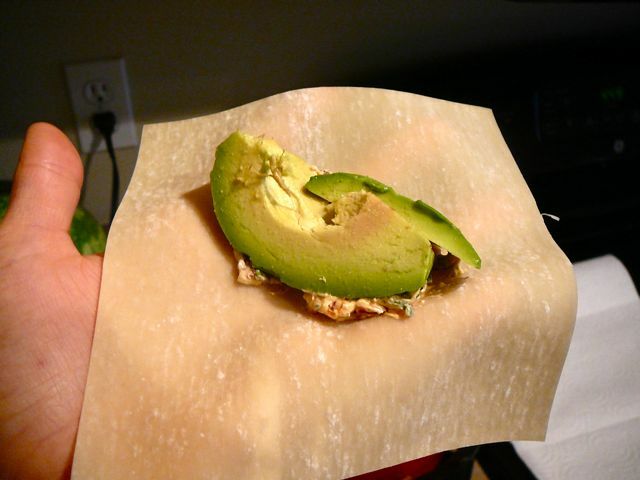 Give your wraps plenty of avocado. 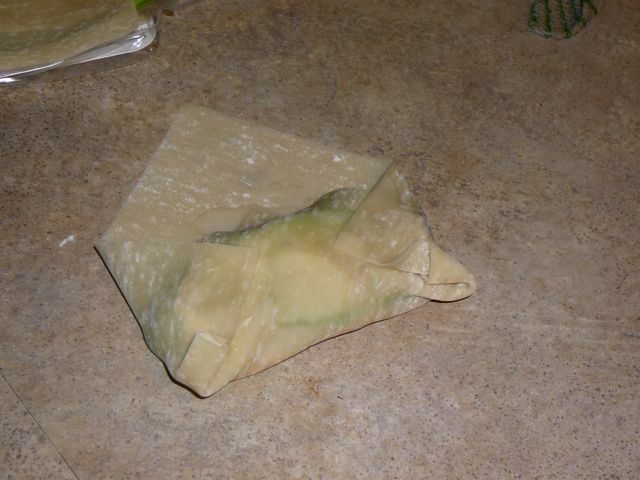 Using water to seal the edges and folds of the wrap, fold up your avocado roll and fry in oil until brown. 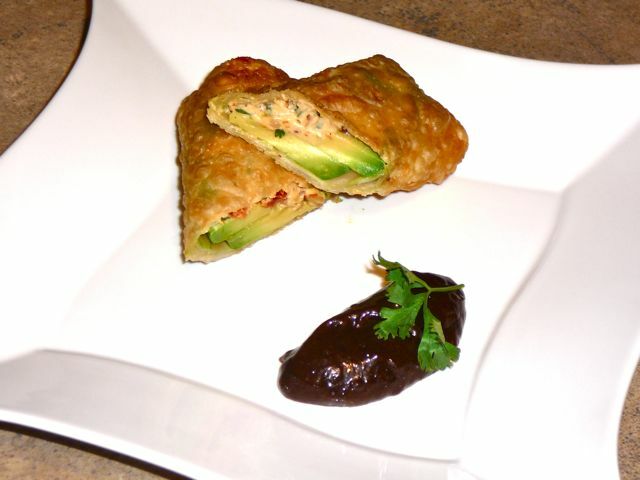 Drain on paper towels and serve with tamarind sauce. YUM! 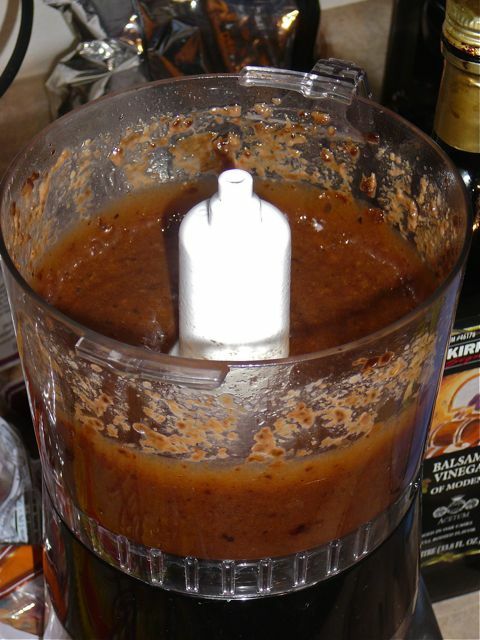 The pulsed tamarind sauce - tastes better than it looks! And then you end up with this delicious treat! Enjoy. that sounds (and looks) SO delicious. I will have to try it! How glad am I that I saw these, I wonder if they are like the ones at Cheesecake Factory. I guess I better try them and find out. Thanks for the nice comment, I am having fun looking around your blog too. The Cheesecake Factory doesn't use peppers. 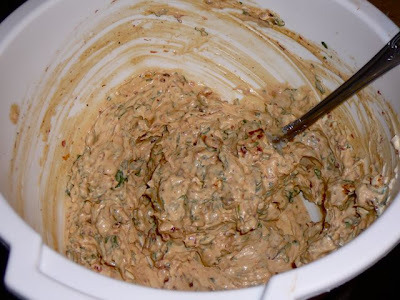 You forgot pine nuts in this recipe. Pine nuts would be a great addition. Thanks!